Next month’s Avengers: Infinity War is going to be so jam-packed with superheroes it will likely be difficult for audiences to find time to care about every single one of them. But, as the entirety of the Marvel Cinematic Universe prepares for the showdown with Thanos, there’s one actor who’s worried his character is being forgotten: Jeremy Renner, a.k.a Hawkeye, a.k.a the red-headed stepchild of the Avengers. Considering Hawkeye was the only hero not to appear in the film’s trailer, Renner’s worries seemed to be justified. Now, as a not-so-subtle reminder that he’s technically a superhero, too, Renner has taken to promoting Hawkeye himself on his personal Instagram. For anyone thinking, “Hey, Hawkeye isn’t doing too bad. He’s on the cover of Entertainment Weekly!” it should be noted that the above image is fake. It was created by a Hawkeye fan (yes, they exist) and shared by Renner, who likely wanted to let people know that—even though he doesn’t technically have super powers and his character usually acts like he’d rather be back on the farm with his wife and kids—he’ll be on the front lines of the galactic battle with everybody else. 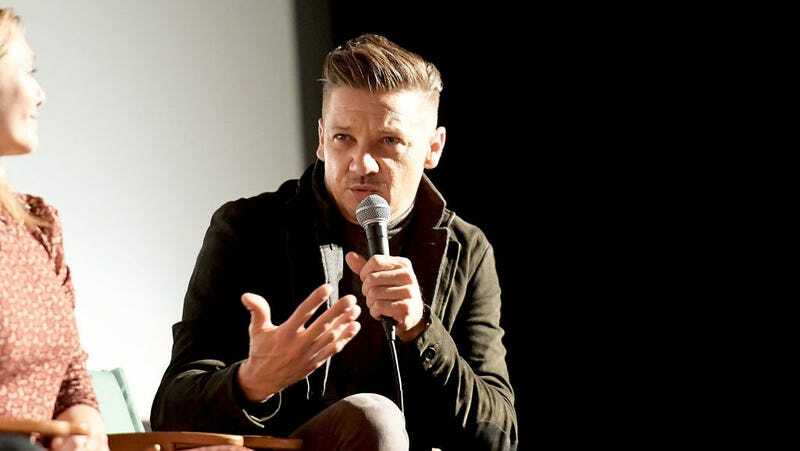 In the end, regardless of whether the Disney marketing department acknowledges it or not, Jeremy Renner just wants people to remember that Hawkeye is part of the MCU, and his ability to shoot arrows really well is going to have to be worked into the story somehow. To see how that exactly pans out, we’ll have to wait until the film’s premiere on April 27th.